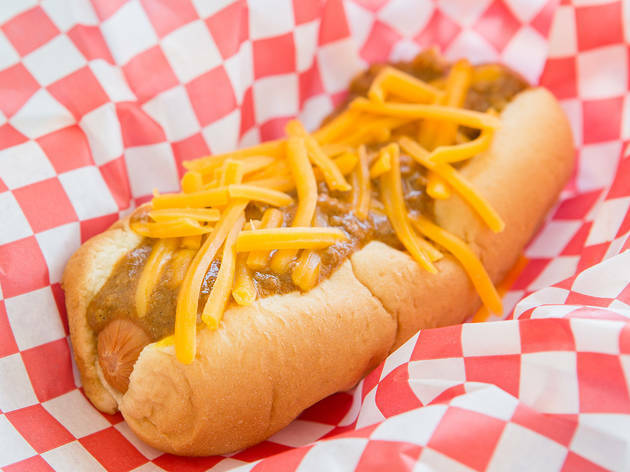 Founded in 1939, Art's Famous Chili Dog Stand is a South LA staple, and a mecca for those wanting one of owner Art Elkind's decadent dogs. 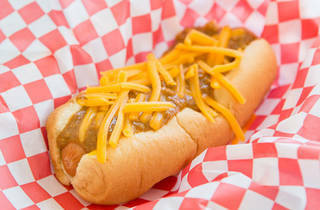 Elkind claims to have invented the chili dog; in its original iteration, the stand sold hot dogs, chili, tamales and more separately, until one fateful day when Elkind decided to spoon some leftover chili onto a hot dog. The rest is history—today, people flock to the simple stand on Florence Ave for its namesake, no frills dish. Art's maintains its old-school vibes in every way—remember to bring cash, since they don't accept cards here.